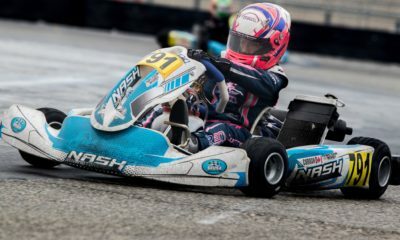 Dale Curran Ecstatic After Qualifying Fifth at Rok Cup International Final – CKN | CanadianKartingNews.com | Because Karting is a way of Life! 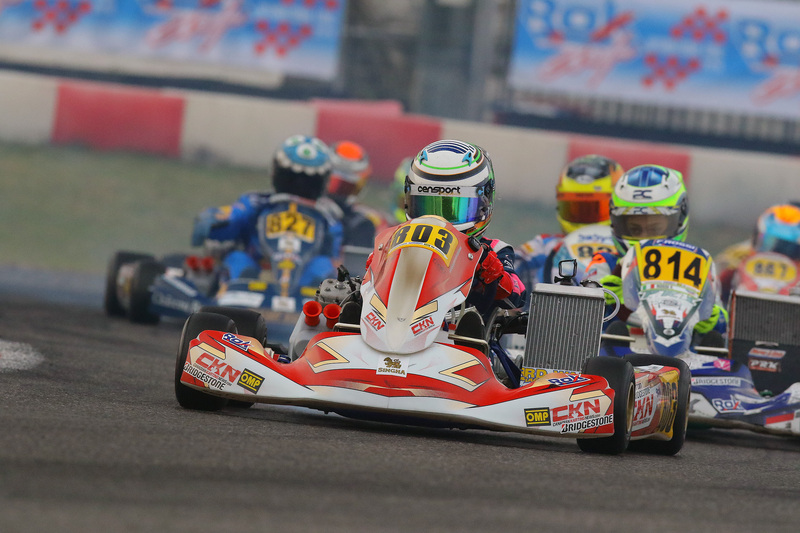 A little man of few words, Dale Curran was all smiles on Thursday at South Garda Karting after qualifying in fifth place at the Rok Cup International Final. The young driver from Bowmanville, Ontario followed it up with a heat race win, proving he is one of the fastest drivers on track this week amongst 100 of the best Rokkers from around the world. Curran is racing out of the Ward Racing tent, a team that hails from Sweden, with Kevin Monteith of Racing Edge Motorsports turning the wrenches. 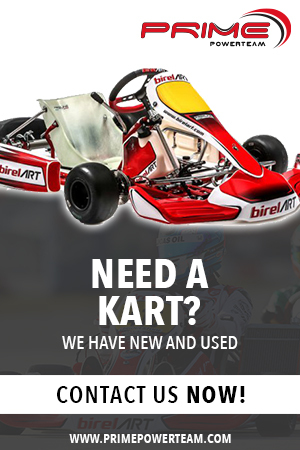 He used last weekends club race to learn the South Garda Karting track, as well as understand the characteristics of a circuit that is much different than those he races at home. Talking about his qualifying lap, Curran nearly aborted in to try and get a better draft, only to realize that the time was nearly up. 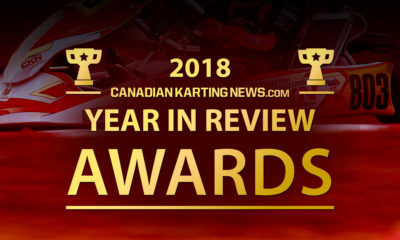 So without much of a drafting partner, Curran drove something similar to his qualifying effort at the Canadian Championships to rank fourth in his group, which was only bettered by one driver in the following two groups. 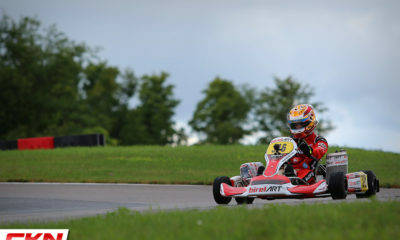 With two heat races to follow, Curran didn’t have much time to enjoy the qualifying effort before he got another taste of European kart racing. With some experience from last weekend, he was more aware of what to expect when the lights went out. 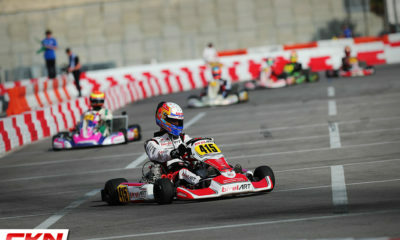 From the pole position, he led his first heat race for a few laps before being overtaken. 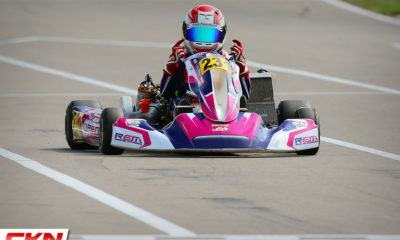 After fending off third place, Curran crossed the finish line in the second position and inherited the race win when the leader was penalized for a start violation. 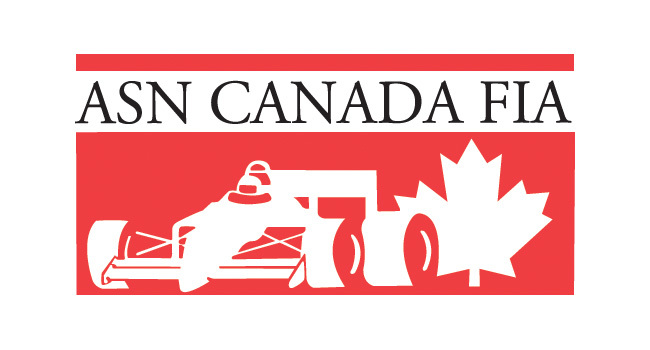 Click here to see the results of Team Canada from Thursday. 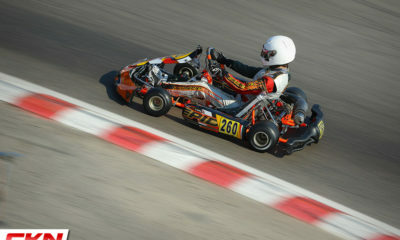 In his second heat, Curran had a really bad start exiting the final corner. With the pack going flat out into turn one, he slotted into the sixth position and raced his way back to third place, including an epic last lap lunge pass to move from fifth to third. 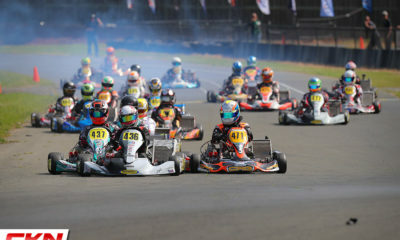 However, contact on the first lap from the driver behind pushed him into another kart and pushed his nosecone back, resulting in a five-second penalty, and an eleventh place result. Looking to Friday where he will have two more heat races, followed by one more on Saturday morning, Curran has a simple plan that if executed correctly, will give him a great starting position for the Final on Saturday. 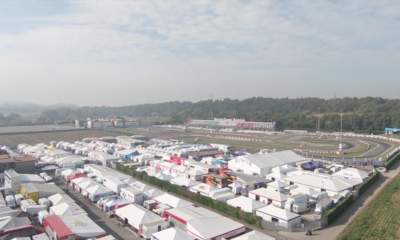 Curran and the rest of Team Canada have plenty of racing left when the Rok Cup International Final resumes on Friday with a full day of heat racing on tap. Follow along on CKN.